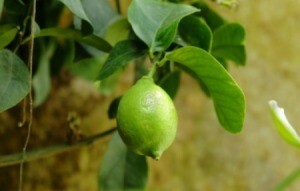 Lime leaves can be used to add a touch of lime flavor to food or beverages. This is a guide about using lime leaves. Did you know that you can pick the leaves of a Lime tree and pour boiling water over them let it cool down and then freeze them into ice cubes? You can use this when ever you need to have a lime taste. Very good for Stir-frys.